Southwest Primorye along the Russian-Chinese border. Longer, plusher fur then that of the African Leopard. More golden in color with larger spots and longer legs. 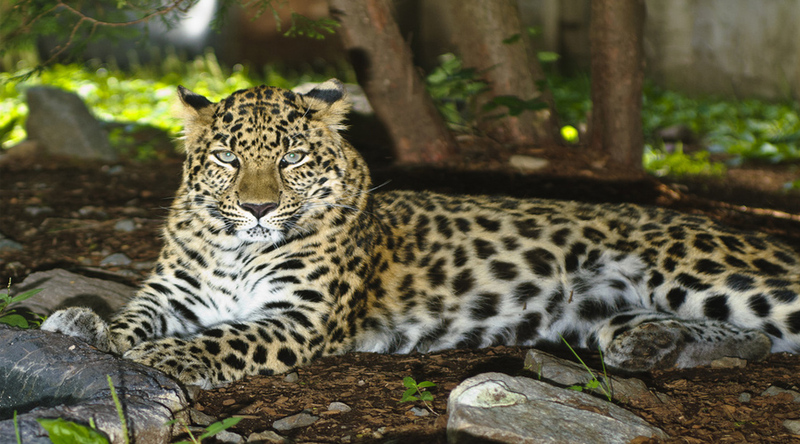 About the Animal: Amur Leopards are a critically endangered species once found all along the rugged mountain region where the borders of China, North Korea and Russia meet. Now found only in the Primorye region of Russia (near Vladivostock) along the Chinese border, these cats share their range with the only other big cat to live so far north, the Siberian (AKA Amur) Tiger. Unlike their African, Arabian or Indian kin, the Amur Leopard is uniquely suited to living in the cool, rugged forests of northeastern Russia. The fur is thicker than other leopards, and grows much longer (and lighter) during the winter. The legs of Amur Leopards are a bit longer for walking through snow. Although not as accomplished at jumping as their distant relative the Snow Leopard, Amur Leopards are still able to leap 19 feet horizontally and 10 vertically easily, allowing them to traverse the uneven terrain. Like all cats, big, small and medium, Amur Leopards are stalk and ambush hunters, capable of reaching speeds of 37 mph for short bursts. Their favored prey is large ungulates like Sika and Roe Deer, but they will also take pigs, badgers and other small animals. Once prey is captured and killed, the leopard eats it’s fill, then drags off the remaining carcass to a hiding space. This allows the cat to enjoy subsequent meals at leisure until the carcass is consumed. 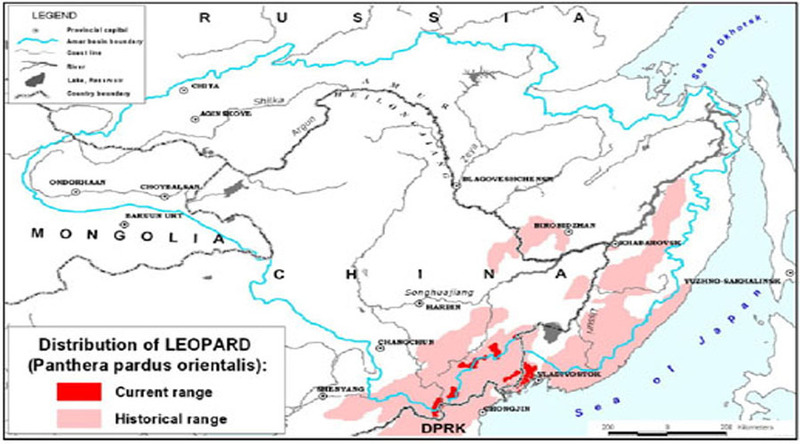 Although the human population in the area that Amur Leopards are found is not huge, it is growing, and the cats are coming into increasing conflict with local people. Mating and Reproduction: Sexual maturity typically occurs at 2.5 – 3 years. In the wild the breeding season for Amur leopards normally occurs in January and February. The gestation period is 90-105 days and litter sizes range from 1-6 cubs. Females on heat make a purring sound to help advertise the fact. This is more correctly known as ‘rumbling’. At 10 days old the cubs start to see the world, when their eyes open. They are weaned by 3 months and leave the protection of their mother at 18-24 months. Amazing Information: There are only 35-40 Amur Leopards left in the wild.